OPPO introduces one more time phenomenal Smartphone for its valued buyers throughout the World. 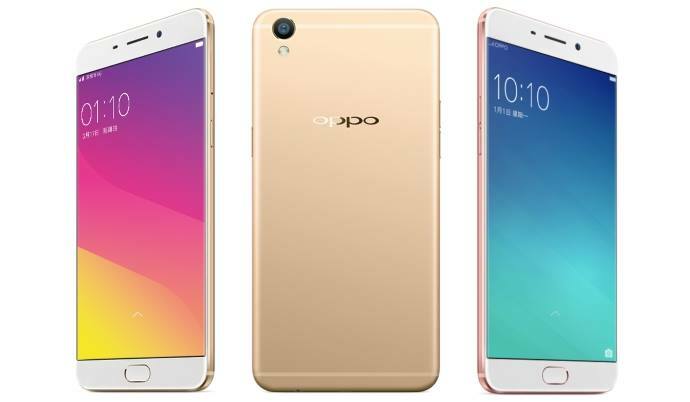 The name of newly launched mobile phone is OPPO F1 Plus and it is sequence of OPPO F1 with more astonishing incentives. The interesting thing of this hand-set is camera option because it is providing 13.0 mega pixels rear and 16.0 mega pixels front camera facilities in this latest Smartphone. This is first time we are seeing 16 mega pixels front camera option in any Smartphone. As we all know the Selfie fashion is going on and many cellular operators really like good quality front camera feature in his/her Smartphone. Finally OPPO has launched hand-set with 16.0 mega pixels front camera feature for capturing countless selfies and making video calling. This hand-set is giving Android system with speedy quality Octa-Core 2.0 GHz processor. This Smartphone is also included multiple quality of options like Bluetooth, Dual SIM, Wi-Fi, 3G and 4G facilities. It is also giving phenomenal look with versatile style. The weight of this Smartphone is also very light and sleek and all those cellular operators who want for using stylish hand-set so they just need to buy OPPO F1 plus and use phenomenal quality Smartphone of OPPO. The details are mentioned as below. Processor: Octa-Core Cortex-A53 2.0 GHz, Mediatek MT6755 Helio P10br. Network: GSM 900 / 1800 / 1900. Front Camera: 16.0 Mega Pixels (Auto-Focus). Display Colors: 16M Colors, AMOLED capacitive display touchscreen, Corning Gorilla Glass 4. 0, Micro USB v 2.0, USB Host, WLAN, WI-FI Direct, WI-FI Hotspot, GPRS, EDGE, A2DP. Audio: Mp3, Mp4, WAV Player, 3.5mm audio jack, Downloadable. Ringtones: Polyphonic tones, Mp3, WAV Player, Downloadable. Other Features: GPS Support, A-GPS Support, Nano SIM, Multi-touch display screen, Dual stand-by, LED Flash Camera. Latest Features:HDR Panorama, Color OS 3.0, External SD storage up to 128 GB, Document viewer, Speaker phone, Accelerometer sensor.